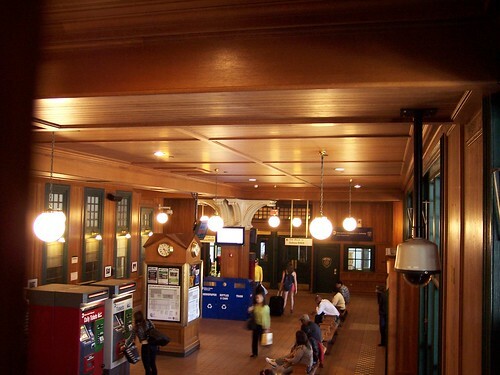 The interior of the restored 125th Street station in Harlem as seen from the balcony. 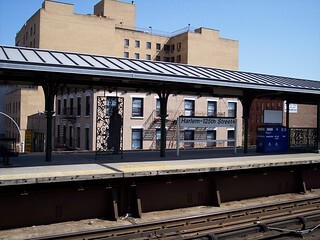 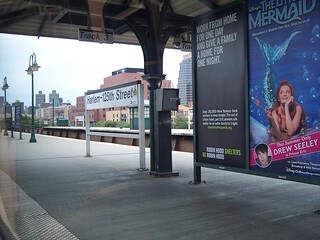 The Metro-North tracks are elevated in this part of New York, so the station platforms sit above street level. 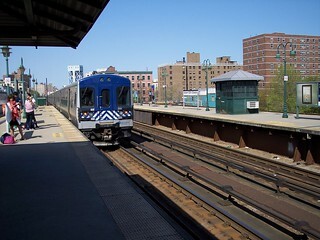 A train bound for Croton-Harmon departs the station.